One of my favourite things about New York is the abundance of museums, exhibits and installations that are always happening - and thankfully, a lot of museums either have a day where visitors can go for free, or leave it up to them to choose what to give. One of these museums is MOMA, which from 5pm to 9 on Fridays is free for visitors. It was on one of these Fridays that I went to MOMA to see "111 Items: Is Fashion Modern?" 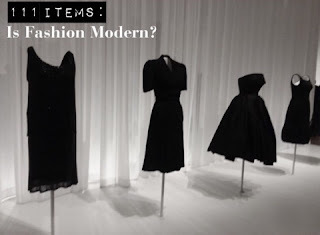 which was their first fashion exhibit since 1944! 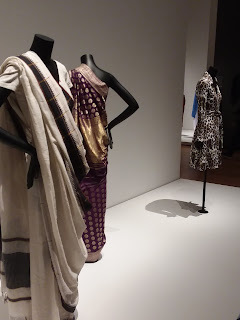 It was really interesting to see this curation of pieces. Each item was picked for it's impact on fashion and society, in relation to New York since the last exhibit in '44. 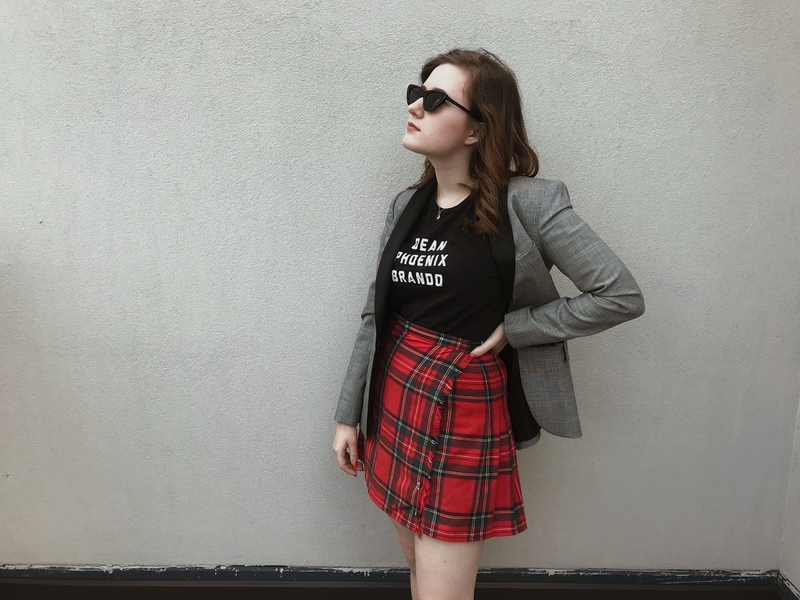 However with New York being one of the most diverse cities in the world, there was something everyone could relate too and something new for everyone to see. Of course I'm not going to go through the whole exhibit, but below I'll just note a few that I found interesting and why. 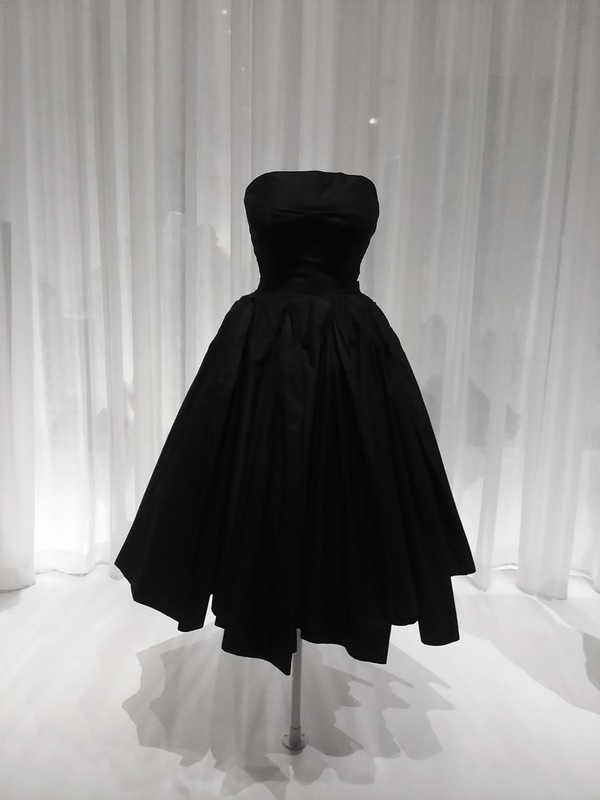 Of course how could you have a fashion exhibit without the iconic LBD? Visitors were immediately greeted with Chanel, Thierry Mulger and of course my favourite, Dior. 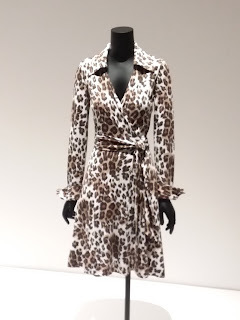 The garment that launched NYC designers career, Diane von Furstenberg's wrap dress. 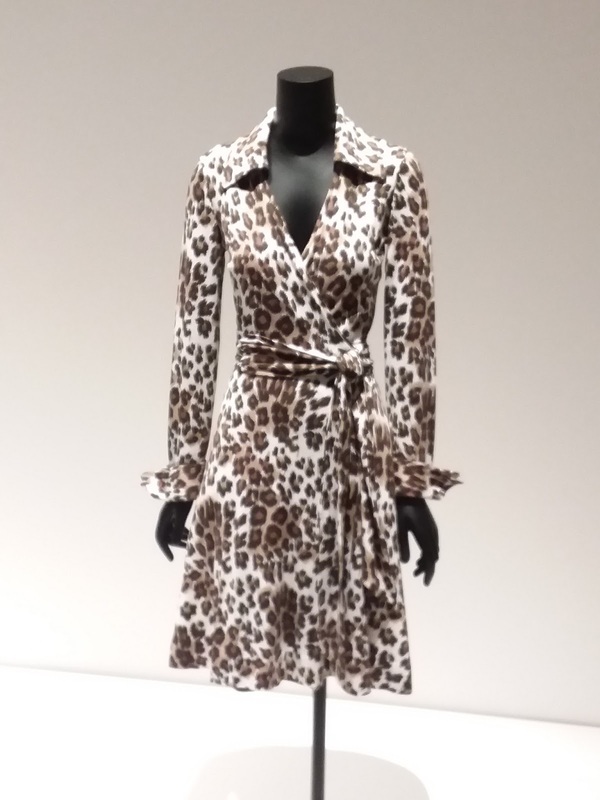 What I really liked however is that they showed iterations and predecessors to the wrap dress, such as the Japanese kimono and a Korean durumagi (a men's jacket). 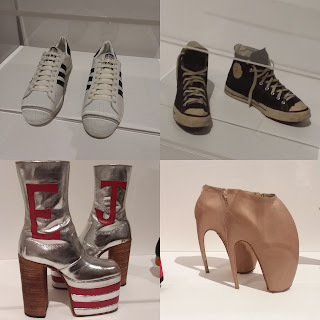 The contrast between Elton Johns shoes and Alexander McQueen's Alien Shoes to the Adidas Stan Smiths and Converse Chuck Taylor and their contribution to high fashion/high street was great in terms of variety. 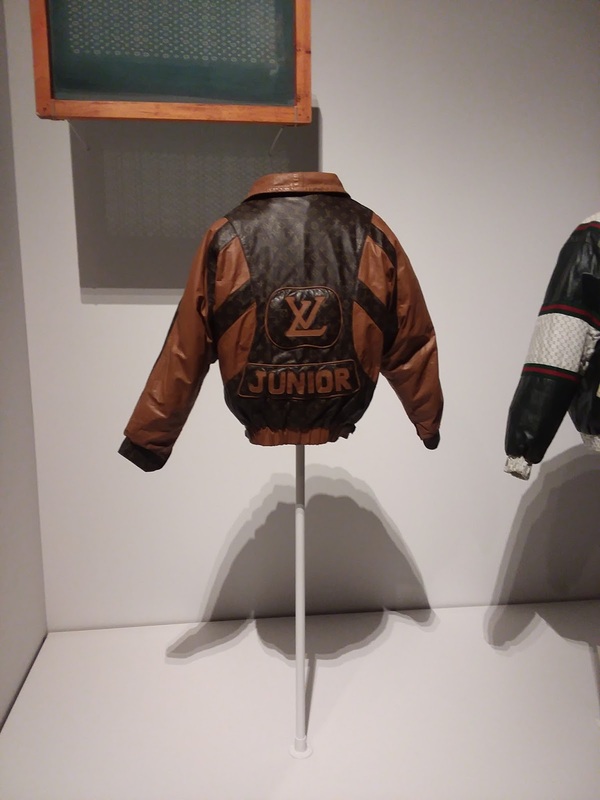 Dapper Dan was a designer from Harlem who in the 1980s started making his own screen printed garments with logos from designers such as Gucci and Louis Vuitton after high end designers refused to be stocked in his boutique. After his jackets grew to fame he was met with various lawsuits and had to close his store. 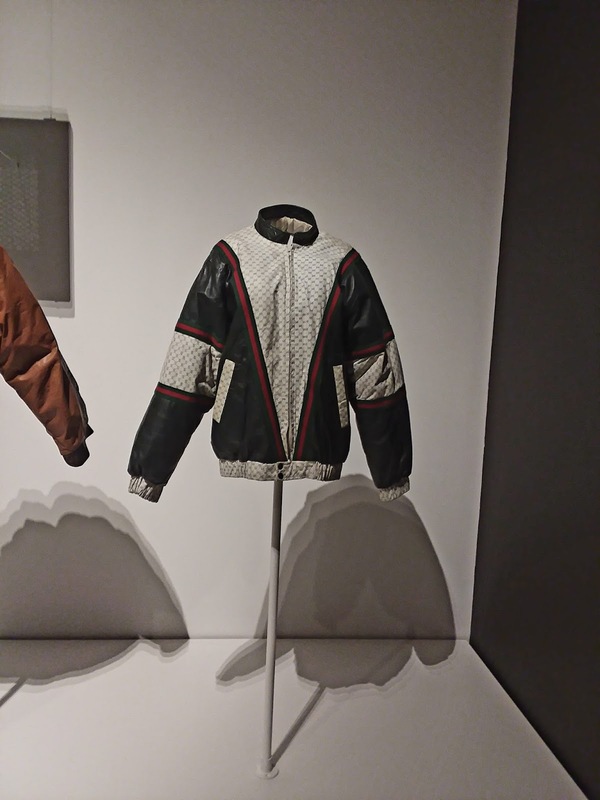 In a bazaar twist Gucci was called out for plagiarizing Dapper Dan with one of their near identical coats in 2017 igniting a social media campaign to get recognition for DD, in turn, Gucci have recently done a campaign with the self thought designer and are helping him reopen his store. 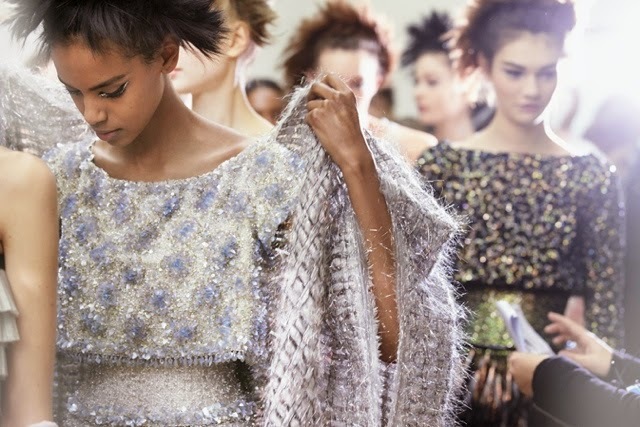 With that we are left with one final thought - is fashion modern? The exhibition did not seem to leave us with a clear answer, it didn't steer towards technology in fashion, new techniques or how society perceives it. For me it seems the answer is not based so much on aesthetic design, but how it's made and why we are wearing it - and what message we give while wearing an item. The answer to the question seems to lie with the viewer, the items significance and effect is up to us.